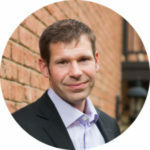 Adam Hergenrother is the Founder & CEO of Adam Hergenrother Companies, which includes KW Vermont, Hergenrother Realty Group, BlackRock Construction, Adam Hergenrother Training Organization, and Hergenrother Foundation. In less than ten years, Adam has built these rapidly growing companies through his commitment to thinking big and never giving up. Fearless and purposeful; unconventional and systematic, Adam sets a seemingly impossible goal then quickly gets to work on closing the gap — no limits, no regrets.